I do like to encourage their desire to learn and cook even if it means a fairly messy kitchen and a less than perfect outcome, the rewards and benefits of having them interact in the kitchen far outweigh all that. The other day, the Littlest Diva asked to make some new playdough but she wanted to do it herself. I knew we had to use a no cook recipe this time because I didn't want her at the stove. When I asked her what color she wanted, her answer was strawberry (she was eating some as a snack at the time). Inspiration hit & I told her we could make Kool Aid Playdough! Then (YIKES!) we had no kool aid! so we we set to work making Jello Playdough instead! 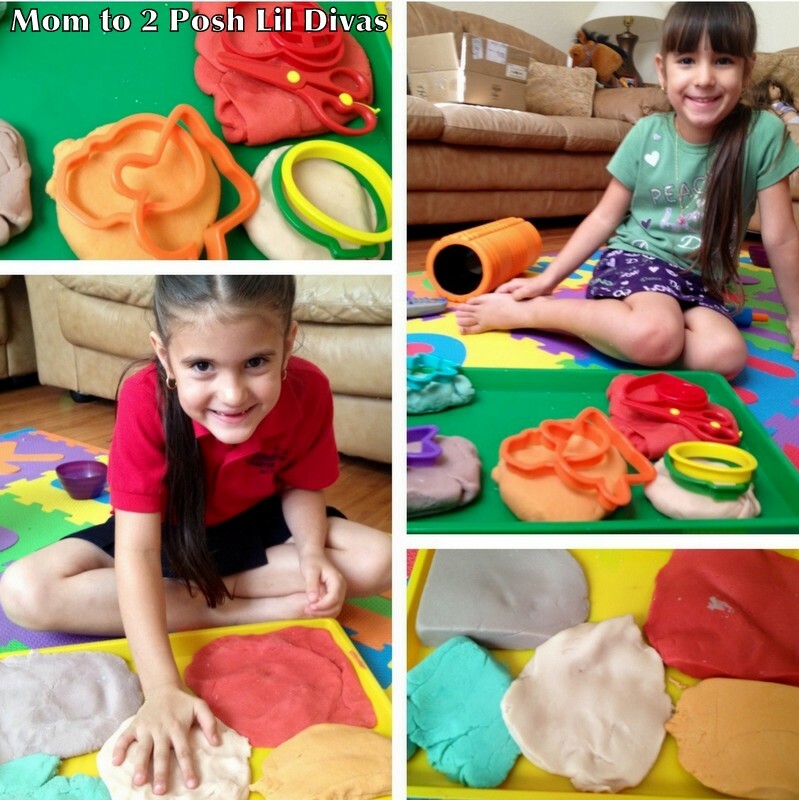 What is great about "No Cook" playdough is that kids get to help a lot in the process. They can measure, pour, mix and stir and knead the dough once it has cooled. watermelon, cherry, orange, grape, and berry blue. Our kitchen smelled wonderfully fruity. & used that. This step must be done by an adult! 2. Add 1/2 cup salt and jello and mix well. 3. Add in oil and stir. 5. Let cool a bit before kneading the dough. 6. Knead dough until playdough forms. This can be quite sticky but as it cools, it becomes less sticky. I had to add in extra flour as we kneaded the dough (this is sticky stuff while mixing but that adds to the FUN factor!). Add flour as necessary until you have your desired consistency (I just sprinkled it on as needed and the girls happily kneaded the dough). too sticky or water if it's too dry. This doesn't taste good (yes, I tried it albeit accidentally!) so I do not recommend eating/tasting it but the good things is, if you have little ones & they put it in their mouth it is made of edible ingredients! I added a few drops of glycerin after I had kneaded the dough to my desired consistency and we ended up with some lovely playdough. We found some of the colors were brighter than others and some of the scents were definitely more fragrant than others (cherry & grape were the strongest). & then of course they had lots of fun playing with it! I'd say the Jello Playdough was a hit! You had me at easy. :-)So funny that you tried it. You are a dedicated mama! Pinning this! Odd question, but sugar free or regular Jello? Not a silly question, at all! I used regular Jello. I made this and had to add about another cup or more of flour because it was so sticky. I covered it and hopefully in a while it will not be as sticky. Made grape and it does smell good!! How many packets of jello mix?? I used 6oz packet for the recipe above. can i use jelly christals? 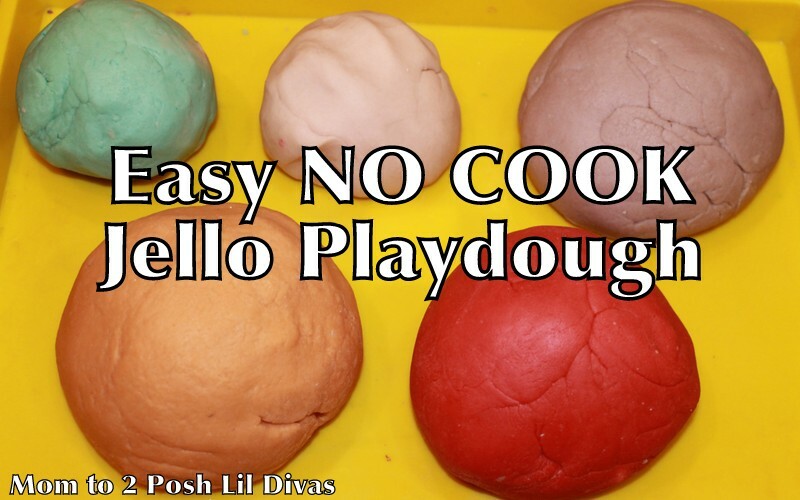 How long can I keep the play dough? How much Glycerin is needed? I am making goodie bags with playdough, how many portions could i get? This sounds like an awesome craft. Where can you purchase glycerin? Have you discovered a way to do peppermint flavored one? We added about 2-3 tbs of cornstarch to the dough and it really helped with the stickiness and made it perfectly playable.